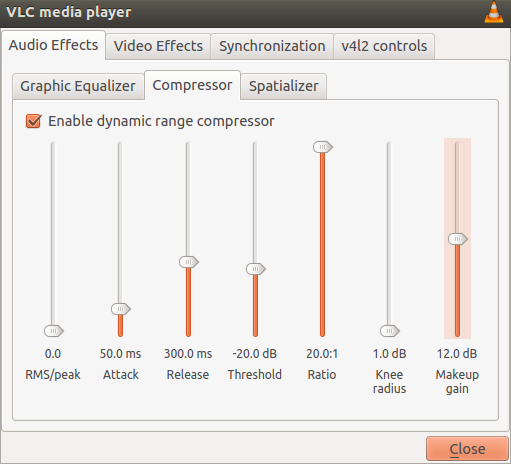 Here’s the Dynamic Range Compression settings to make your movie more fluid, no sudden loud sound but still audible dialogs. We can’t change the settings with exact values, so just move the slider at least close to the values. Slider can be precisely moved by pressing keyboard arrow up and down after clicking on the slider. Thanks, Austin!